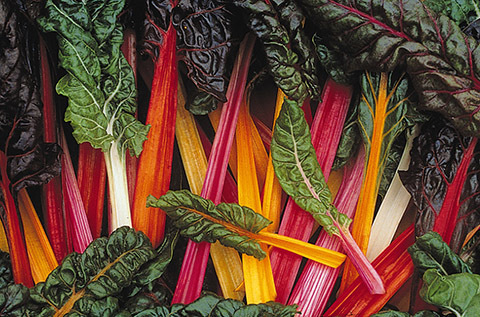 Bright Lights Swiss Chard makes a colorful statement in your flower garden, vegetable garden or on your table. The stems range from yellow to red to white and some shades in between. 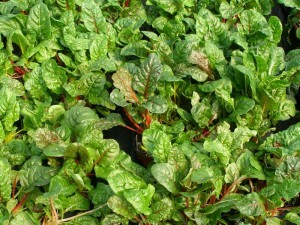 The leaves are dark green or burgundy with a heavily puckered texture. 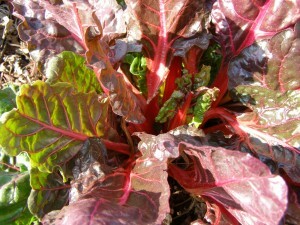 Chard is related to beets and spinach and has both bitter and salty flavors. Pick them young for the best flavor. You can enjoy them raw or cooked. 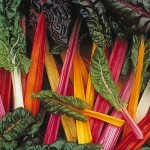 Any method used for cooking beet greens or spinach will certainly work for Swiss chard. Chard tolerates poor soil, inattention and holds up well in frost and mild freezing conditions. It can also be planted in shady parts of the garden but prefers full sun.